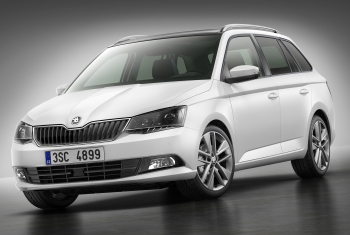 Correct Wheel Sizes, PCD, Offset, Rims and Tire specs for Skoda Fabia series. 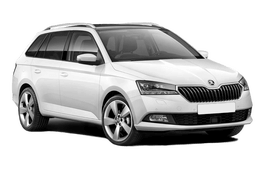 Hello, I didn't want alloy wheels on my skoda fabia 1.6td when i purchased it new in 2010, i choose instead to have steel wheels and the dealer put on 14in steel. i now would like to know do they contribute to a lower mpg. The current tyres are over 2 years old and have done 20000k. Any advice to help me make a decision? Thank you. what to take into account etc ??? Sizes for '08 fabia estate 1.9tdi. doesn't seem to show sizes for '08 fabia estate 1.9tdi. 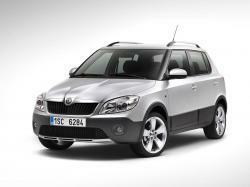 2011 Skoda Fabia in UK. -so those larger sizes don't seem to feature on your listings ?? Hi,Shishir,it can not fit for your car.Try 195/55/15. Hi, Francis mccue,Can you show me your car year? I have a 2012 1.2TSi Monte Carlo with 205x40x17 OEM alloy wheels. Can I replace these with 195x55x15 alloy wheels? Hi,Chris,Yes,In fact 195/55/15 is the stock tire size.And you also need to change to 15'' rims. P.S. it's a 2006 model. 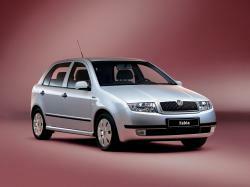 D.
I want to change the tyre of my fabia 1.4 Ambient model. Current tyre size is 185/60, 14R. Is it advisable to change the tyre with other size to 175/70, R14 and if changed it will be any problem to my car. Hi, Phillip! 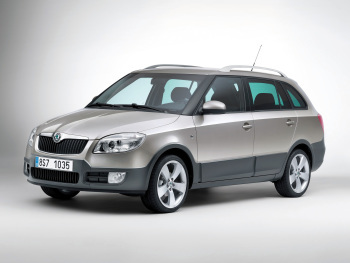 OE rim size for Skoda Fabia 2003 is 5Jx14 ET35-38mm with PCD 5x100 and 57.1mm hub bore. 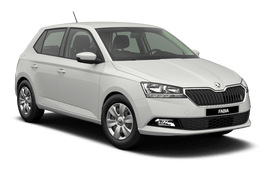 I have 61 plate Skoda Fabia Monte Carlo Edition car - current tyre size are 205/40/17's on the for but 205/40/17 XL's on the back. I am locking to replace the front 2 tyres. Am l best getting XL's for the front so they are all the same or stick with what they are already. Hi, Alison! XL mean extra load, the sidewall of this tires inforced with additional cord. It's not so principal for passenger car, you can use any 205/40/17 tires front or rear with ~83-85 load index and higher with H speed index (210km/h) and higher. You're welcome. 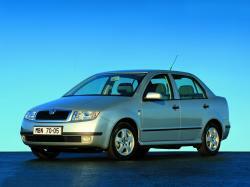 I have a 2006 Fabia 1.2 12v with worn 165/70R14 tyres on 5Jx14 wheels. Can I safely replace them with 185/60R14 tyres on 6Jx14 wheels? 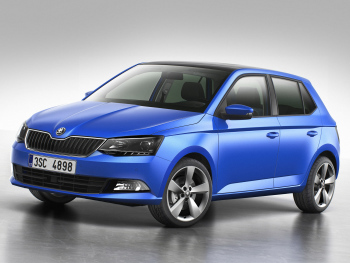 I ask because I have access to a set of these off another Fabia which has new tyres. Hi...I own a SL14 Skoda Fabia Monte Carlo, it has 17inch Black Alloy wheels on it at present which don't fit my purpose, I would like to put steel wheels on it to allow for a bigger tyre size as I drive a lot on one track roads....could you tell me if the current spare 15inch that is in the boot is the correct dimensions that could be used as permanent fixture as I am looking to replace all four wheels with Steel wheels....looking for advice on this please? tyre ally can I use as a spare? 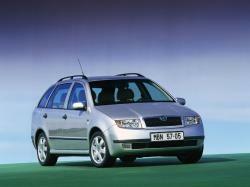 I have a 2008 Skoda Fabia with 195/55/R15 tyres fitted on steel rims and want to upgrade to alloys. What alloy wheels from other car makes are interchangeable ? I've just had slightly used 195/65/R15 tyres put on my 2009 Fabia estate TDi 1.4 3 pot instead of 195/55/R15 which were on from new. Immediately on driving off, the accellerator kept sticking on, giving no engine braking. Nobody knows why, and the garage (and Skoda) say there's no problem fitting this size on the front axle, but it can't be a coincidence. Braking reduces the revs and occasionally the revs slowly reduce. Hi,Mike Reed,195/65/15 is not compatible with 195/55/15,You can also confirm by tire calculator in home page.I think that's the reason for your condition. Thank you, John, for your advice, and I'm getting a strong impression this is the problem causing my drastic change in accelerator habit. things and (preferred), to switch my original 55s on the back with the 65s, or simply get a new set of 55s and abandon the 65s. Fair options, but why doesn't any supposedly informed and trained motor mechanics know or even suggest ?